Possibly one of the most complex deities of the Yoruba-Lukumí pantheon, Oshún is the epitome of beauty, motherhood, and femininity. No other orisha combines as many human and divine qualities as Oshún, the deity who teaches humankind how to live and love and enjoy life to its fullest. This book explores the roles and significance of Oshún. On the Orishas’ Roads and Pathways promises to be an insightful and extensive examination of Oshún, her presence in the Diaspora, and her position in the pantheon. Devotees and scholars will find great value in the narrative, the historical discussion, and the analysis of Oshún from both the philosophical and academic perspective. Olorishas will appreciate the information that the author shares about Oshún’s roads or avatars. Undoubtedly, this book will be of great importance to both the Orisha community and the scholarship on Orisha religion. Because the author is both a renowned priest and a scholar, his approach builds on decades of religious devotion and experience, as well as the rigors of academic training, and an extensive degree of participant observation and archival research in the United States, Cuba, and Brazil. 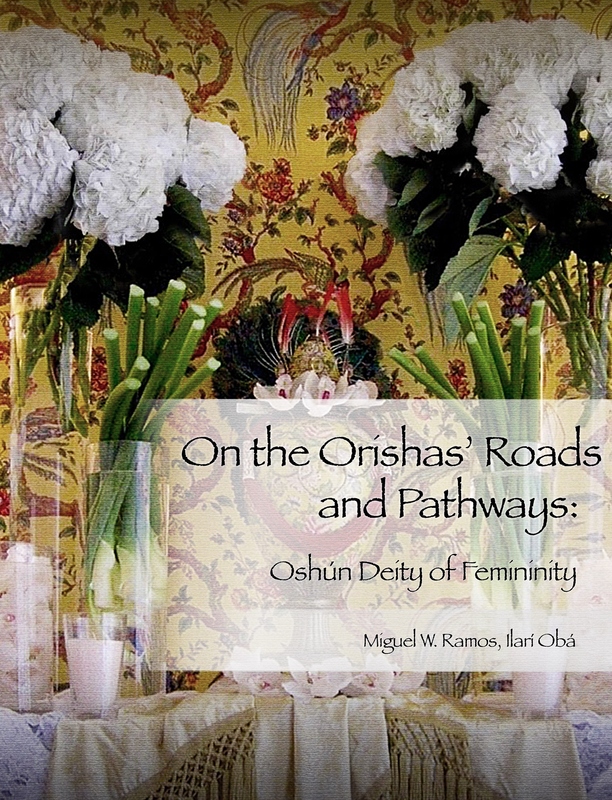 Most certainly, On the Orishas’ Roads and Pathways—Oshún Deity of Femininity will be a valuable study that will benefit many. Initially, the book will be sold exclusively through Eleda.Org.